Today I read the post linked below that talks about a rumor that Oracle is planning to buy webOS from Hewlett-Packard. HP became the owner of webOS when it acquired Palm and released the Touchpad a few months ago that used webOS as its operating system. Sadly for HP, this tablet failed miserably and only became popular for a short while when the price was dropped to $99 in the United States, resulting in a fire sale. Oracle? How does that work, you ask? Well, Oracle has close ties to Apple, since Oracle’s CEO, Larry Ellison, was one of Steve Jobs’ closest friends. This explains – in large part – Oracle’s interest in suing Google over Android’s use of Java technologies. Since Oracle probably has some spare change lying around, a purchase of webOS and associated IP may give them some additional patents to sue others with. I sincerely hope that a great, though unpopular operating system like webOS will not end up as ammunition in patent lawsuits. An other post on ZDnet publishes the same thoughts and has some other views as well. The link to this post can also be found below. OSnews.com – Oracle To Buy webOS? Are you a web developer and is Firefox your main browser? 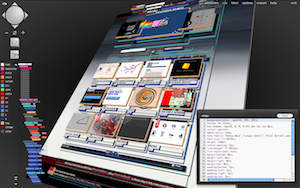 Then I suggest taking a look at Tilt: an addon that enables you to view the structure of a webpage in 3D. Not only does this look truly awesome but it is also very helpful and educating when used to view existing websites. For a detailed explanation of the addon and a couple of cool videos that demonstrate it, click the link below. Looking at the graphs in the article linked below, the iPhone 4S is about 80% faster than the Samsung Galaxy S2. That’s nearly double the performance of this flagship Android device. 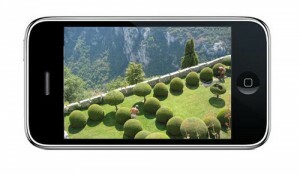 The benchmarks of the iPhone 4S are getting close to those of an iPad 2. Quite impressive. I am very curious how the Nexus Prime with Ice Cream Sandwich will perform compared to the iPhone 4S. We’ll have to wait a few weeks to find out. Just four months ago, Oracle released a very official-looking corporate white paper intent on “debunking the hype” surrounding the NoSQL movement — a widespread effort to build a new breed of database that can juggle vast amounts of “unstructured” information in ways a traditional Oracle database can’t. Last week, a few words sprinkled onto the OpenWorld website indicated that such a database was on the way, and with his Monday morning keynote, Oracle executive vice president of product development Thomas Kurian officially acknowledged the unkept secret, announcing that the Oracle NoSQL Database will be included with a new hardware system known as the Oracle Big Data Appliance. Big Data is the moniker du jour for the epic amounts of unstructured web data facing many of today’s businesses, and with the new appliance, Oracle is embracing not only NoSQL, but Hadoop, the other open source movement so often associated with the term. iPhone 4S Already Outdated on Day of Release? If you check the table in the article at Engadget.com linked below you’ll see that the Samsung Galaxy S2 beats the iPhonse 4S on 13 points where it comes to the hardware. That’s a not a good sign considering the iPhone 4S is not even in the shops yet. Every new Android flagship phone from Samsung, HTC, LG and other phone makers will leave the iPhone even more behind. Next to the website you are looking at right now, there is an other blog I maintain that resides at Amplify.com which is called an Amplog. This website enables you to curate and clip content from the Internet, add your take on the subject and add it to your Amplog. Posts you create can be shared on Twitter, Facebook, Ping.fm and other social media sites. You can also follow other people on Amplify as news sources, which generates a news stream on the site. And of course you can fire up a discussion by commenting on posts. 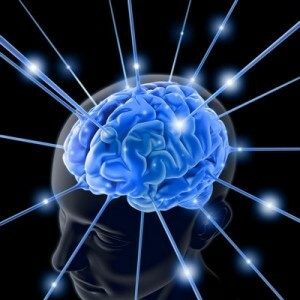 Below you will find a top 10 of the most popular posts from my Amplog from May 2011. 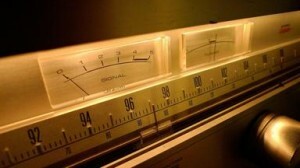 Today I found a great article about the audiophile of yesterday and today. I recognize myself when the author describes Laurie Monblatt’s listening room. One of the best ways for me to spend time on a free afternoon is to listen to music, preferably from CD or high-resolution formats as SuperAudio-CD (SACD) and DVD-A. Can’t wait until the next weekend and drown myself into my favorite music! The following article encourages me even more to attend meditation classes in the near future. If an eight-week meditation program already generates measurable effects, I am curious what the results would be like if you followed a regime of meditation for one year, a few years or even more. I haven’t decided yet which kind of meditation I would like to go for. Suggestions anyone? The Samsung Galaxy Tab gets a fairly good review. When I look at the price tag in the US, which is $600, I think they could learn from that over here in Europe. In the Netherlands for example the recommended retail price is €750, which is over a thousand dollars. That’s an outrageous difference in price. I just couldn’t believe this when I read it. So these people only use it for browsing, email, music and video? Okay, that’s already a bunch of features, but nothing else? Really? Check the link to see a lyric sheet transform amazingly into a dancing silhouette of the singer. Astonishing! Can Steve Jobs’ iPhone Walled Garden Model Stop Botnets? On an iPhone, every app lives in its own “walled garden”. An app can only read and write files in its own document folder and cannot access the document folders of other apps or files of the core system. Mathew J. Schwartz of InformationWeek has the opinion that this approach should be introduced in Windows as well to “gain an edge in the botnet war of attrition” as he says. And you know what? I think he is right. If you have read the reports of Apple’s “Back to the Mac” event, you may have noticed that Apple is already heading in that direction. During the keynote, Steve Jobs introduced an app store for the Mac. I am curious if Microsoft will do the same in the future for their Windows OS. Below the jump you will find a quote and a link to Mathew J. Schwartz complete story. This suggests that Oracle views LibreOffice as a hostile fork and will not join The Document Foundation as some had hoped. Since Oracle expressed earlier this week to keep supporting OpenOffice.org, this move is not surprising.